Lovely apartment right on the boulevard of Estepona, next door to the Carrefour, with beautiful views over the Mediterranean, Gibraltar and Africa 5 minutes walk to lovely Estepona. Fantastiskt fin lägenhet, underbar terass med sol hela dagen. Ägaren mycket omtänksam o vänlig. Bra sängar, gott om handdukar. Vi saknade ingenting. Vi bodde i nr 305. Estepona är en trivsam liten fin stad, en vacker strandpromenad, blommor överallt i hela staden. Hit återkommer jag gärna. Fin utsikt över havet och behaglig terrass att vila på. Läget är perfekt, med närhet till hav och Estepona centrum som man når på 10 minuters strandpromenad. Närheten till Carrefour är också positivt. Vi kommer garanterat tillbaka igen, och rekommenderar andra att njuta av lägenheten och läget. 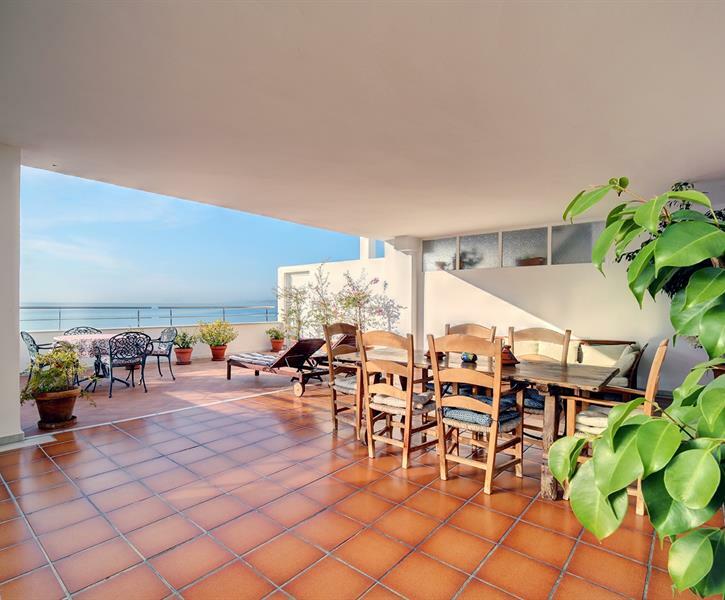 Having read the reviews for this apartments as a family we thought that it would be ideal base for exploring the Costa del Sol. The location was ideal, just a 15 minute walk to the town center of Estepona and a couple of minutes to the Carrefour supermarket. The apartment had a great location over looking the sea on one side and the mountains on the other. The balcony was great as it had space for a dinning table and 4 sun beds which was well used by us. The kitchen had everything for cooking at home which we used for about 50% of our stay as sometimes just felt like eating in after being out all day. There was plenty of equipment to use for when heading down to the beach, even beach towels which was great ad saved on baggage weight. The swimming pool was great, not too busy when we stayed. For those who like reading there is a nice little collection of National Geographic magazine's which I enjoyed whenever I got the chance. The local restaurants where good with plenty of choice, the local beach bars did a good choice of food and where a favorite of us after spreading the day on the beach we would retire to the shelter of the bars and enjoy a cold beer overlooking the sea.